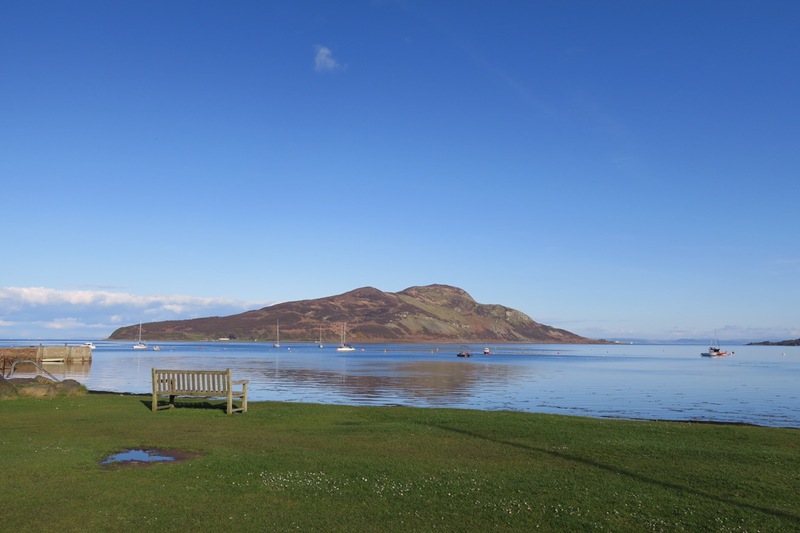 A Sunny Holy Isle, a canter across Kintyre and off to Jura we go! The Holy Isle worked its magic! The sun has been shining over Arran. 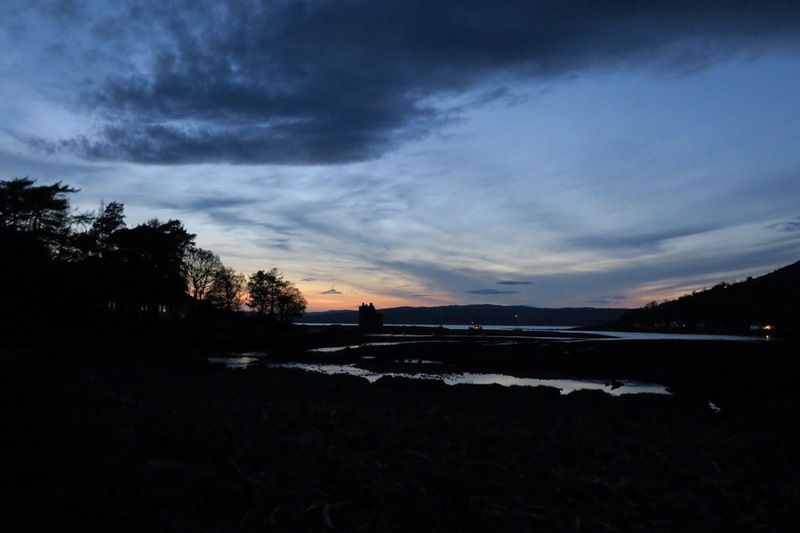 We took the boat over from Lamlash and were welcomed onto the isle – it was the first western Buddhist retreat of its kind in the west and is open to all. We headed up to coast first via the caves of St Molaises, the healing spring (not approved for drinking by the EU! ), the private retreats for women committed to lifelong solitary meditation and a square lighthouse. 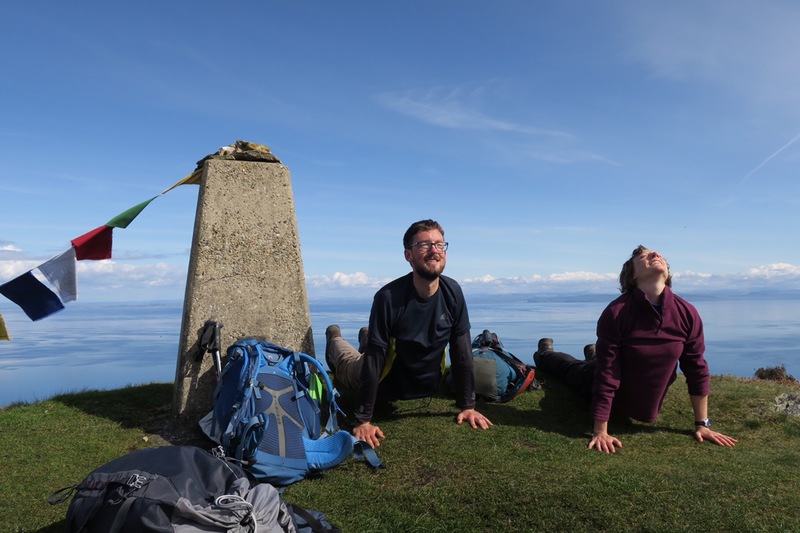 Then it was a short scramble up to the trig point where it was a moment for reflection and sun salutations! After we’d had our free tea we headed back to Lochranza for dinner on the campsite and then to the pub to catch up with the few others that climbed Goatfell. 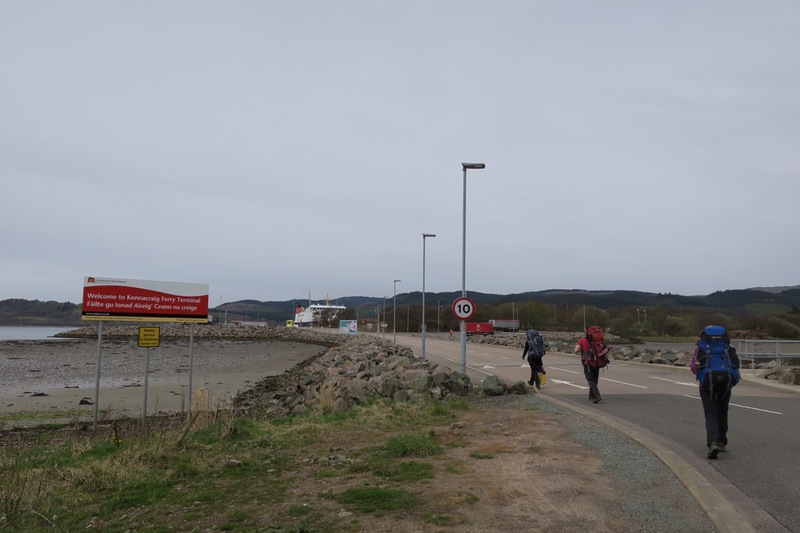 This morning we packed up – slightly nonchalantly – and ended up half running for the ferry which arrived just as we did. On we got and then it was a 5mile schlep on a narrow road across the Kintyre peninsula to catch the next ferry. Just one more ferry and a bus until we reach the campsite for tonight!